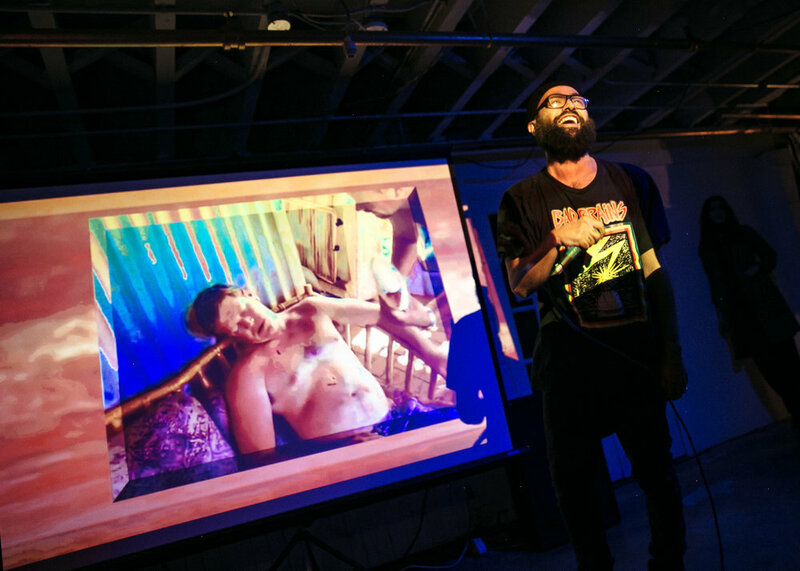 IDIO Gallery is proud to present TOTAL RELEVANCE, a multimedia installation of new work by Kool A.D. in collaboration with Cult Days, curated by Lauren Wolchik. Kool A.D. (Victor Vazquez) and Cult Days (Saba Moeel) create parallel universes dripping with color, where the familiar is twisted for new meaning, playfully at times, brutally at others. Mother Jones described Vazquez' work as "a thoughtful effort to deconstruct and rearrange cultural objects in ways that challenge our deepest assumptions." Brought from Baja California, Mexico, and finished in Brooklyn, this collection of interrelated drawings, paintings, prints, sculptures, films, and sounds attempts to describe "the universal" –– the point at which all relevance is shared or, in other words: TOTAL RELEVANCE. On view through Sunday, March 12th. 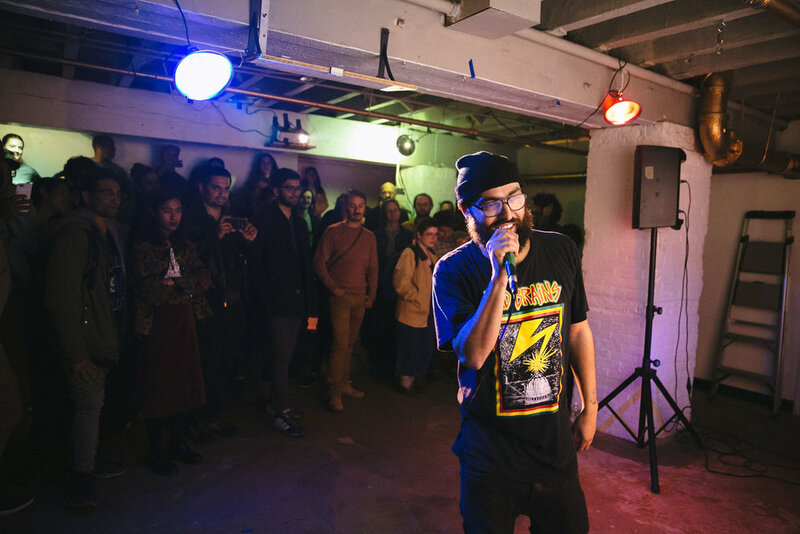 Kool A.D. is a multidisciplinary Afro-Cuban artist born in San Francisco who works primarily with light, sound, and people. 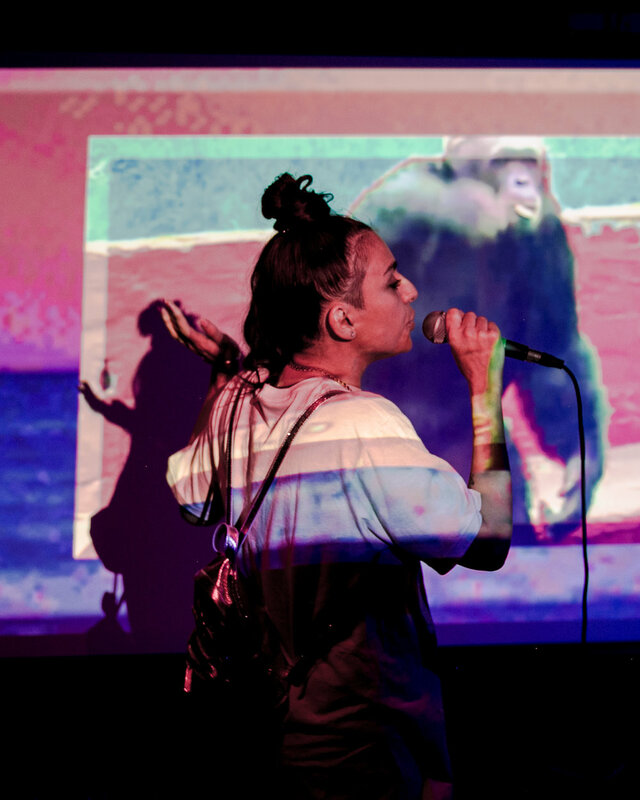 A former member of the New York-based rap group Das Racist, Kool A.D. has since released over 20 albums under his own moniker. 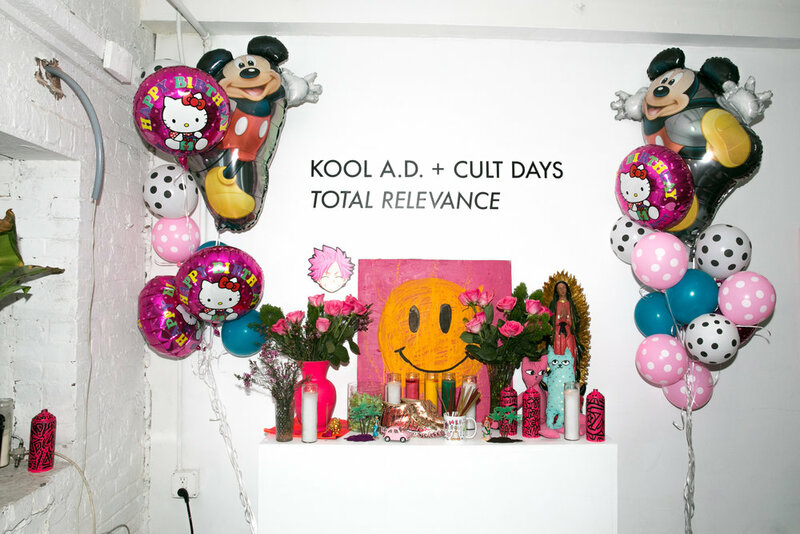 Cult Days is a spiritual leader and futurist working in fashion, graphic design, and music. They live with their daughter Sevi in Baja California, Mexico.